I had a roll of film in my 35mm camera that was put aside when we got the digital camera so I pulled it out, finished up the film and got it developed. It's funny how I forgot what all was on there, but was so glad to see these pictures. There was a fishing trip that I hadn't remembered even taking the camera there, but so glad I did! 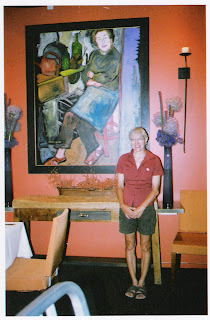 My 49th birthday when we went to Copia and ate a wonderful meal at Julia's Kitchen...see I love Julia Child and she is the inspiration for this restaurant. They sat us at the counter where we watched the talented chefs prepare every dish for us. Everything was so precisely placed on the plate and the flavors were out of this world delicious. I don't remember what I ordered, but I do remember that I loved every bite! I am so glad that I have this picture of my by a bigg er than life painting of Julia. Then there were the pictures of some of last years tomato harvest which really look a lot like this years harvest, but some of the pictures were so great I am considering blowing them up for hanging in the kitchen. They definitely inspire me! I especially like the one in the center though love the shape of those black plum tomatoes (wish I could remember their real name). I love tomatoes as you can tell from my blog and every year vow to only grow 8 plants, but always end up with at least 20. We have been making sauces and salsas and tomatoes stuffed with tuna and added with squash to a couple casseroles. Yesterday Michael made a dish with polenta, tomatoes, squash and peppers that was very tasty and I especially enjoyed it after working a long hard day in the heat. It was about 100 degrees and I work outside all day watering plants and sometimes myself. But, today I am off and trying to think of something creative to make with all the fabrics and new purse patterns I have recently aquired. I will have to post about them later! They are very fun. While surfing the web this morning I went to a wonder blog called Not Quite June Cleaver which led me to Mary Janes Farm. Both sites are full of homemade ideas. Mary Jane's is actually more of a store, but a lot of fun things are there including some very nice Mary Jane's (shoes by Danko). Check out both sites and see what I mean. I thought this looked like an interesting way to grow garlic in a small space like mine. Am wondering if it matters what kind of garlic you use. I think I might just give it a try since I got 4 new varieties of garlic coming in at the nursery soon so I will try to remember to post on how it does in the months to come. I would have really loved the idea of being a FarmGirl about 20 years ago. Now that is too late for me to start living that lifestyle because I just don't have the energy though I can still use a lot of the ideas. I would still like a very small farm with a few chickens and maybe a goat...a girls gotta dream! Lately most of my time is spent in the garden or thinking about the garden and what to do with all these tomatoes. We are having fun with them and even gave some away. 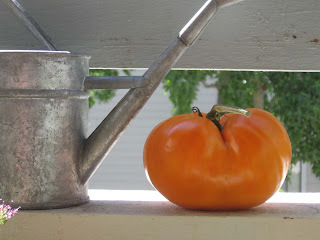 The picture above is one of my favorites and largest tomatoes. Michael made a yellow tomato sauce from all the yellow and orange tomatoes. Everything tastes so delicious at this time of the year and I love knowing where the ingredients come from. 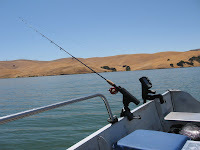 We have done some fishing too and are busy planning where to go for a little fishing trip next month. We were thinking Shasta, but our plans may be changing to go more south of here. I really don't care I have just been longing for the peaceful calm that you get floating around on a clear lake listening to the birds and seeing the reflection of the clouds on the water. Of course there has to be the occasional break in the calm for the excitement of catching the potential 'big one'. Not that it matters because we usually let them go. I enjoy fishing with Michael, he has taught me a lot and he is always so calm and patient. Guess that comes from years of fishing and knowing a little about what to expect. Last week we went fishing for 4 hours and never even got a bite. I was so relaxed I actually took a nap in the boat. 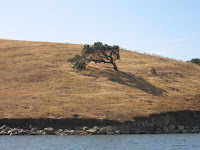 Guess I should call this post "All about fishing and a little about the garden..." The place we went is now all brown and dry looking, but is home to some bald eagles and we saw one swoop do wn and pick up a fish. Guess we should have went to his spot! This wind blown tree marks the spot where I can usually get a bite, infact I think this is where I caught one of the first fish I caught on this lake. I was really enjoying the colors of the blue sky and water with the brown grasses. I have been changing my slipcovers on my couch again and found a nice blue and brown fabric that I think goes much better with my couch than the greens and reds I was loving a few months ago. That tells a lot about me...always changing my mind when it comes to colors. I do really well with plain walls if I can change things like furniture, pictures and curtains often. 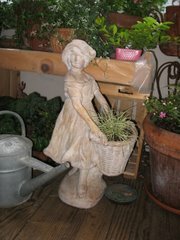 Well, it is time for me to think a little about gardening and get ready to go off to work at the nursery! 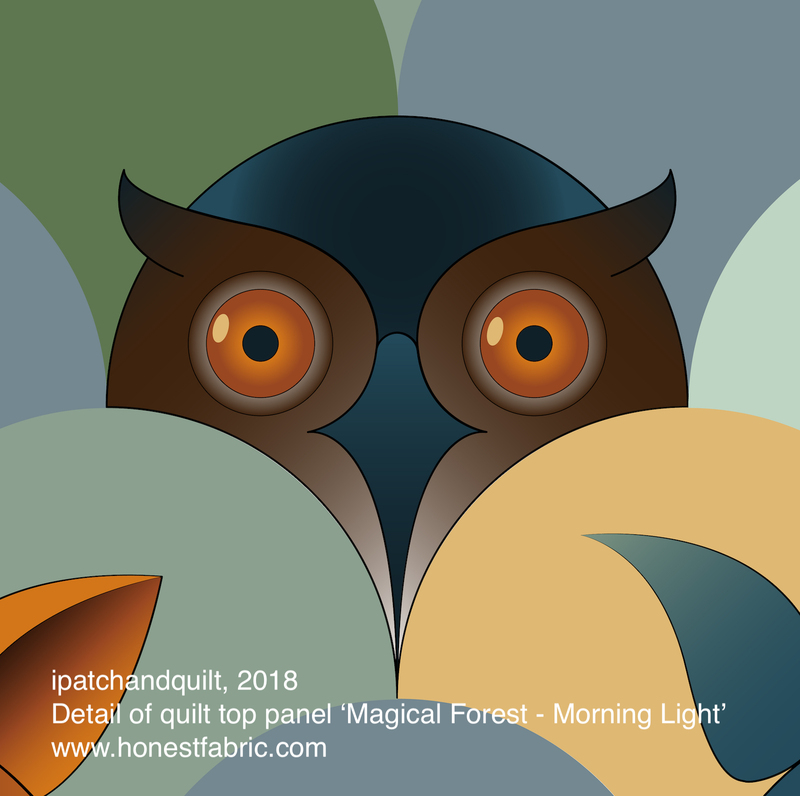 I have a few pots to plant today and plants to order...I love my job, but if I ever have to change it I think I would have trouble deciding what I would want to do next...a produce stand or a quilt store? or there are many more options!